From the July-August 1974 Film Comment. Portions of this column (one of my best, and crankiest) have appeared elsewhere, including on this site, but this is the full version. -– J.R.
February 16: Chaplin’s THE GREAT DICTATOR. 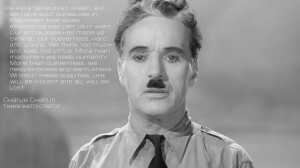 As a friend has pointed out, Chaplin doesn’t really belong to the history of cinema; he belongs to history. What for another artist might only come across as misjudgment, naïveté or bad taste often registers in a Chaplin film as personal/ historical testimony of the most candid and searing sort. Thus the total inadequacy of his impassioned speech at the end of THE GREAT DICTATOR — as art, as thought, as action, as anything — becomes the key experience that the film has to offer, revealing the limitations of human utterance in face of the unspeakable. 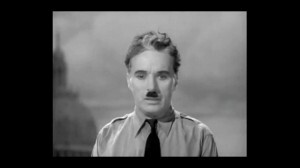 For roughly two hours, ChapIin has been trying to defeat Hitler by using every trick that he knows; finally exhausting his capacities for comedy and ridicule, and realizing that neither is enough, he turns to us in his own person and tries even harder, making a direct plea for hope. But while he effectively annihilates the Tramp before our eyes, he simultaneously recreates him in a much more profound way, exposing the brutal fact of his own helplessness. Seen with historical hindsight, there are few moments in film as raw and convulsive as this desperate coda. 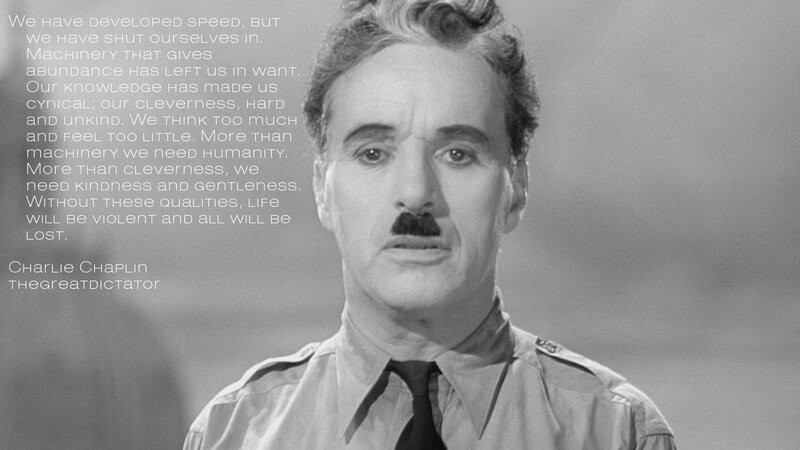 Being foolish enough to believe that he can save the world, Chaplin winds up breaking our hearts in a way that no mere artist ever could. 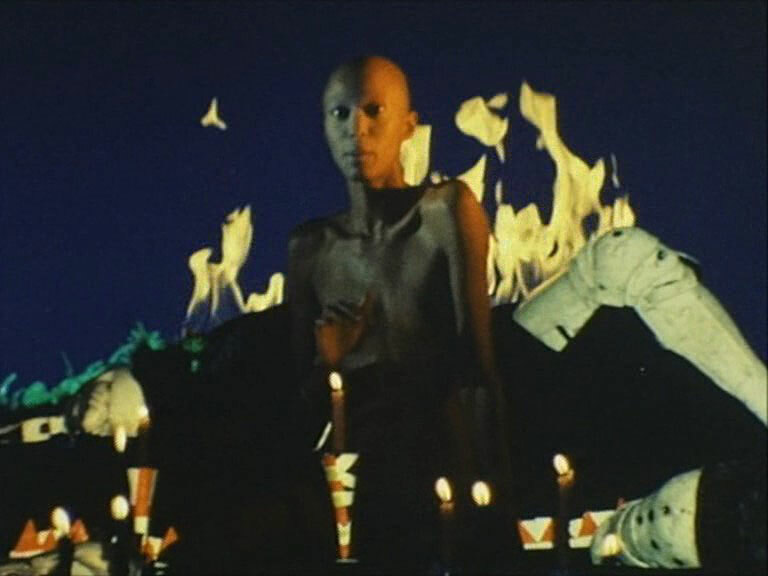 February 20: Carmelo Bene’s SALOME. Unlike several of my colleagues, I’ve never been able to take Bene quite as seriously as he seems to take himself, but this is the first time that he’s consistently entertained me from first frame to last. Delivering the text of Wilde’s play in delirious tirades, locating it in some Exploding Plastic Inevitable of the mind, and then fracturing his Day-Glo visions into a mosaic of jerky and jumbled glimpses, he triumphantly succeeds in turning his ideas about decadence into a cubistic three-ring circus, an explosive shower of shots that are scattered about like opulent jewels. 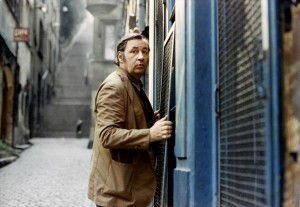 February 27: Bertrand Tavernier’s L’HORLOGER DE SAINT-PAUL. One of the least endearing plagues of contemporary film criticism is the formula of trying to exalt the conventional by calling it classical. In this fashion, the silly plagiarisms and flabby pieties of John Milius’s DILLINGER are applauded as commentaries on Our National Heritage, Chabrol’s playful (and often enormously entertaining) James Cain exercises are treated as though they were etched in acid by a Balzac or carved into marble by a Racine, and a film as uninspired and soporific as this Georges Simenon adaptation gains mystical association in the French press with some imagined “classical” tradition. Certainly the relatively brief and accelerated history of film has led to many radical foreshortenings of the history of art when comparisons are evoked; my semi-frivolous reference to cubism one paragraph back is but one example out of thousands. But when decades begin to be treated as though they were centuries or even millennia, what kind of justice are we doing to a Hawks or a Ford, much less a dull craftsman like Tavernier? 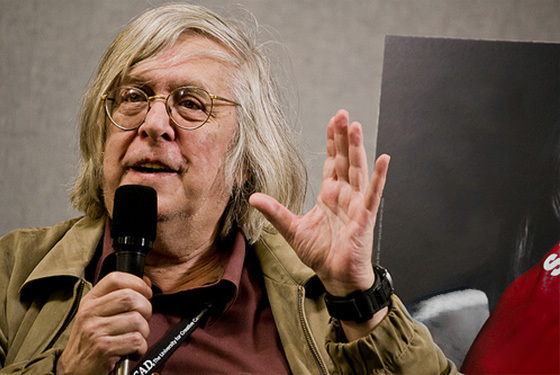 A former critic — and one who specialized with considerable competence in what is usually called “classic” American cinema — Tavernier already seems well on his way up the Bogdanovich ladder, and we’re all beginning to discover where that leads. If this is le cinéma classique , give me le cinéma sauvage any time. March 8: My prayer is answered. Seeing a work print of the new ]acques Rivette film — to be called either CÉLINE ET IULIE VONT EN ZIZANIE, or CÉLINE ET JULIE VONT EN BATEAU in French, probably PHANTOM LADIES OVER PARIS in English [2015 note: this was an error], and running a bit over three hours — I come upon le cinéma sauvage all its exhilarating and barbaric splendors. It’s a comedy (a comedy from Rivette? yes), it’s wild and funny and unsettling and rigorous (often –- if not invariably — at the same time), and when I see the work-print again the following week, it still scares me out of my wits. It stars Iuliet Berto and Dominique Labourier, features Bulle Ogier and Barbet Schroeder and Marie-France Pisier in smaller parts, is set mainly in Montmartre and inside a haunted house, and was scripted by Rivette with Eduardo De Gregorio along with the two lead actresses. 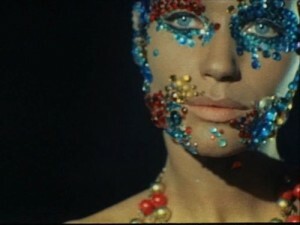 A certain amount of the conception was directly inspired by the re-release of Tashlin’s ARTISTS AND MODELS in Paris last summer, but it also brings to mind STRANGERS ON A TRAIN, ZAZIE DANS LE MÉTRO, LAST YEAR AT MARIENBAD, THE DISCREET CHARM OF THE BOURGEOISIE, various Hollywood cartoons (Berto makes a swell cross between Sylvester the Cat and Tweety Pie), and even Abbott and Costello. Obviously a great deal more will have to be said about this dangerous work once the release version becomes visible. In the meantime, I can only report that something rich and strange is on the way: a tribute to the giddy fantasies of childhood and a disquieting plunge into the language of dreams, structured in and around an outlandish plot-within-a-plot that plays with narrative possibilities like marbles — tickling, irritating, haunting and goading one into redefinitions of all sorts of things, including comedy/cinema, reality and Rivette. With the advent of CÉLINE ET IULIE and the 255-minute OUT 1: SPECTRE — the latter described at some length in Richard Roud’s last Berlin Journal, and finally opening in Paris in late March – Rivette becomes, at least for the moment, the major innovative force in French narrative cinema. These aren’t simply movies that you see and forget; they’re ones that you live and breathe and sleep with. 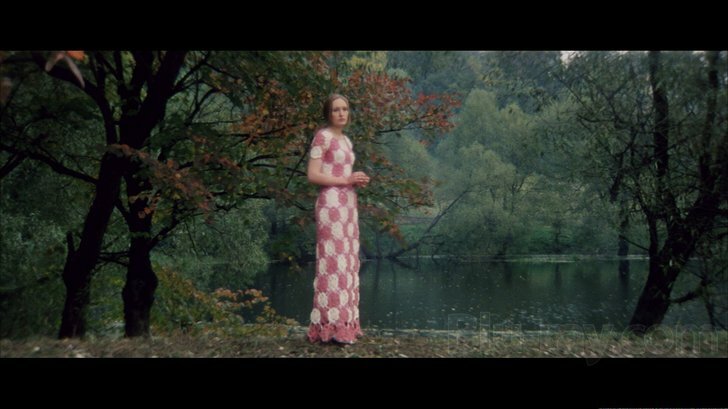 March 14 & 21: Andrei Tarkovsky’s SOLARIS and ]ohn Boorman’s ZARDOZ. The customary charges brought against modern science fiction — another potential form of le cinéma sauvage — are precisely what I like about it: pretentiousness and obscurity; or to use somewhat less loaded words, ambitiousness and difficulty. What are these qualities but the by-products of bold efforts to overreach the certainties and securities of other genres, the very spirit of noble adventure? 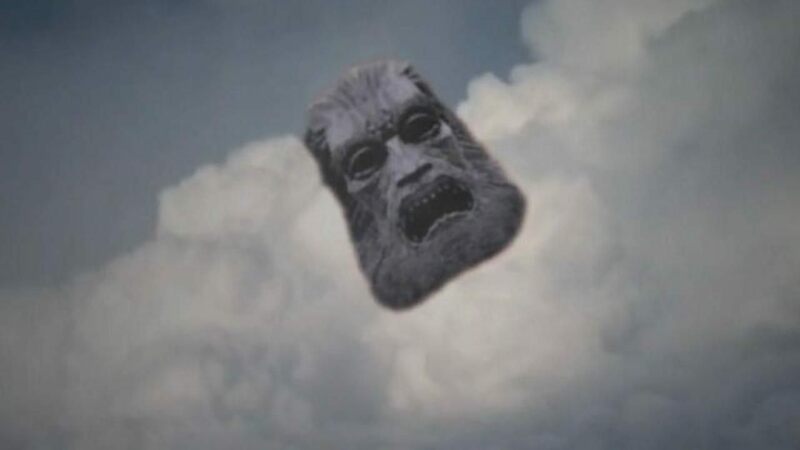 ZARDOZ is despised by several critics for having a somewhat silly and fatuous plot, and so it has; but so do about 98% of all other movies. No, ZARDOZ is being taken to task not for being silly but for being science fiction, just as ALPHAVILLE and 2001: A SPACE ODYSSEY, GLEN AND RANDA, and THX 1138 were all widely scoffed at when they first appeared. Any film that embarks on creating an imaginative universe of its own is taking a lot of chances, and the “risk” of self-exposure is much greater than in genres like the Western or the thriller, which are full of conventions that a film maker can always hide behind. The worst thing that can happen to an s-f movie is for it to collapse into convention; conversely, the best s-f films are usually those that remain aloft and ambiguous — hovering over meaning — the way that pre-credits sequences of other films frequently do. ZARDOZ maintains a good bit of this poise as long as it busies itself with exposition, the laying out of its fanciful repertory; it collapses only when the meanings start to become assertive and shrill, and the flights of fancy are overcome by replays of LEO THE LAST and 2001. But before giving way, it generates a pristine narrative excitement largely because it bites off so much to chew, requiring inventiveness on all sorts of levels (e.g., how does one furnish a Wizard’s workroom?) 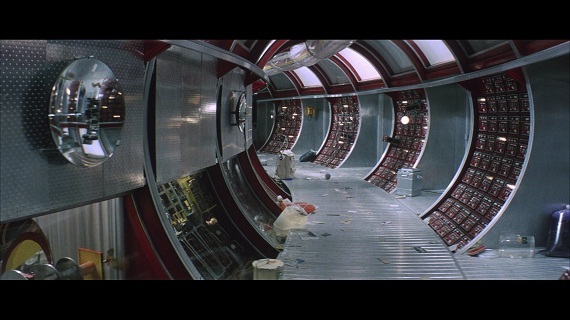 Even a naive concept like that of Zed (Sean Connery) being “fed” the collective knowledge of the Vortex leads to an interesting sequence, because Boorman is forced to solve a narrative problem unconventionally: the concept becomes a challenge. 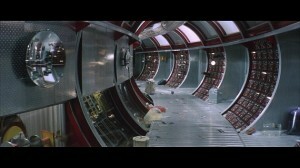 In SOLARIS, an even more original film, the challenge of adapting Stanislaw Lem’s novel becomes the license and occasion for the most daring, provocative and beautiful moments: the long journey along a freeway that approximates the hero’s space voyage; our introduction to the nearly-deserted satellite: the terrifying resurrections of Hari; and the cryptically powerful closing shots, which synthesize the familiar with the unimaginable even more potently than Kubrick’s shifting strategies at the end of 2001. Tarkovsky and Boorman have their conceits all right, but so do the critics who refuse to accept their procedures as Iegitimate. Much as Olaf Stapledon’s magisterial Star Maker (1937) — “the one great grey holy book of science fiction,” in Brian W. Aldiss’s phrase — has not yet been discovered by literary critics, the silly/profound ideas of a ZARDOZ are dismissed out of hand while the equally silly/profound ideas of Boorman’s DELIVERANCE are seriously considered. (Is Burt Reynolds any less questionable a conceit than Sean Connery?) To offer a science fiction prediction of my own: A lot of wasted energy will be recuperated when it is more generally recognized that all films are fantasies. . . .Thus spake the angry dog. March 19 & 23: Pudovkin’s DESERTER & Dovzhenko’s IVAN. 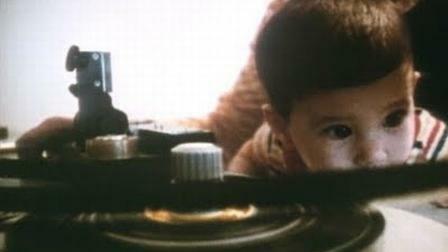 A lot of the wonder of these early Soviet sound films, along with Vertov’s ENTHUSIASM, seems to come from the confrontation of wild freedom with an extraordinary amount of discipline-that is, montage at its most sophisticated stage of development plus the introduction of sound as a blunt and relatively untested power — the old and the new crucially redefining and reorganizing one another every step of the way in a rigorous pagan dance of possibilities. 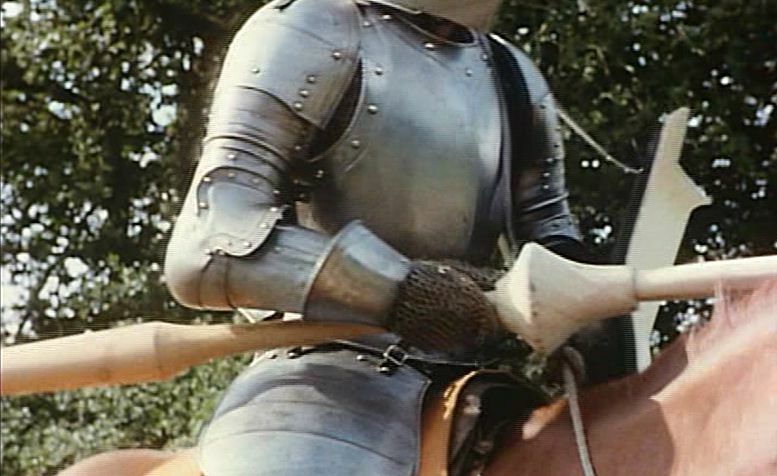 . . .Flash-forward, April 4: Staggering out of two successive private screenings of Robert Bresson’s prodigious LANCELOT DU LAC, I am immediately reminded of these Soviet miracles. 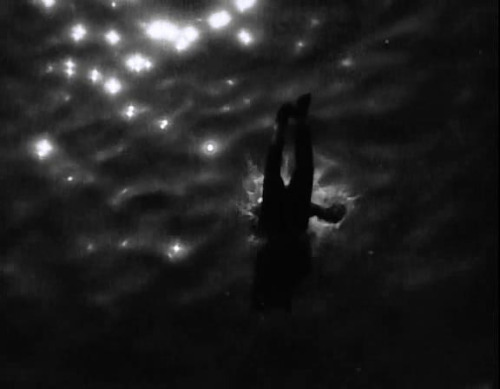 But while Dovzhenko, Vertov and Pudovkin create sound-and-image combinations that explode in all sorts of directions – a nearly infinite number of possibilities and potentialities, most of them nonnarrative — Bresson’s combinations are so calculated and organic that they usually merge into a single and continuous narrative line, and virtually all other tonalities and potentialities are pared away. We are left with narrative sound and image in their primal, irreducible states. 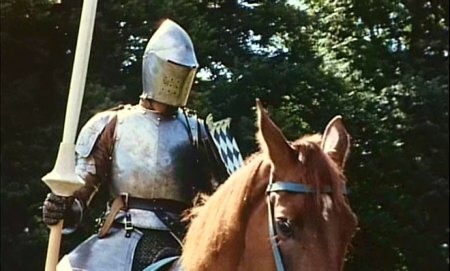 The jousting tournament in LANCELOT DU LAC, structured more around what we hear than what we see, may well be one of the most exciting action sequences in the history of cinema. April 3: “Musidora,” an international festival of women’s films, begins today, with concurrent all-day screenings at two separate locations, scheduled to extend over ten days. With such an unwieldy number of films, it is no surprise that many of the programs are uneven and the groupings of films often arbitrary. I doubt, for instance, that the films of Joyce Wieland are best served by being included with a clever documentary about a tattoo artist (by Dana Sardet) and various “consciousness-raising” feminist documents. But I’m grateful for the opportunity to catch Claudia Weill and |oyce Chopra’s JOYCE AT 34(1972) at the same afternoon program, one of the most honestly open and leadt patronizing film portraits I’ve encountered. The family of Joyce and the early scene of her giving birth appear so free of rhetoric and attitudinizing that one has the illusion of watching such people and such an event for the first time on a screen; which is only to say that JOYCE AT 34 is the nicest fantasy I’ve seen in quite a while. 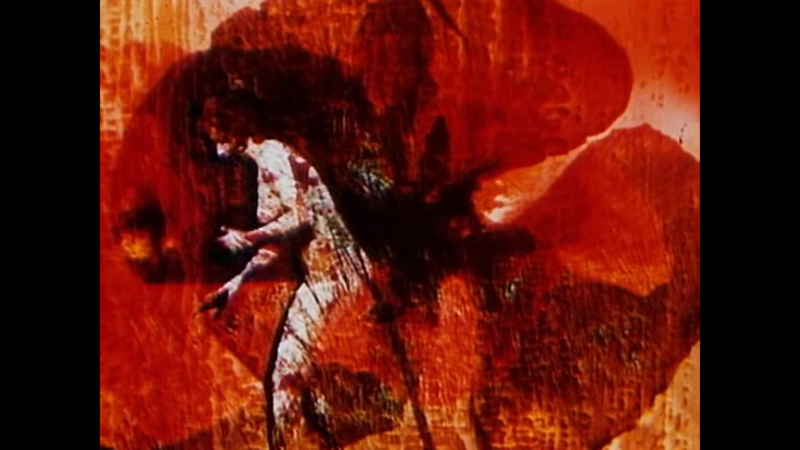 April 4: Vera Chytilova’s FRUIT OF PARADISE (1970), also at the Musidora Festival. Using an elaborate range of shifting techniques, this begins with the Creation story and winds up somewhere light-years beyond my comprehension. I can’t fathom what the story is about, and I’m not even sure how much this matters, but I can’t keep my eyes off Chytilova’s ravishing images. . . .After so much head-filling cinema, my fuses are blown. Chaplin & Bresson, Pudovkin & Dovzhenko, Rivette & Rivette, Tarkovsky, Bene and Boorman, and now Chytilova. 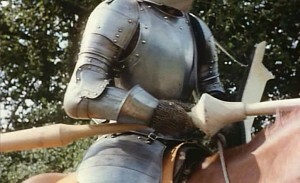 . . .Glory to fantasy & formalism. Glory to Jonas Mekas. And glory to le cinéma sauvage!